This property consists of one bedroom with a double bed, a single sofa bed in the lounge, well equipped kitchen and bathroom with shower. In the private outside area there is a terrace with table and chairs and in the garden you will find a plunge pool, barbecue and sun loungers. A great location for a few days of peace and quiet, comfort and relaxation, situated in a convenient place to get to the town. Animals and parties are not permitted in this house. The house is situated less than five minutes´ drive from town where you can enjoy the great local cuisine. The closest beaches are those of Los Bateles and La Fontanilla which are both about eight minutes drive away. 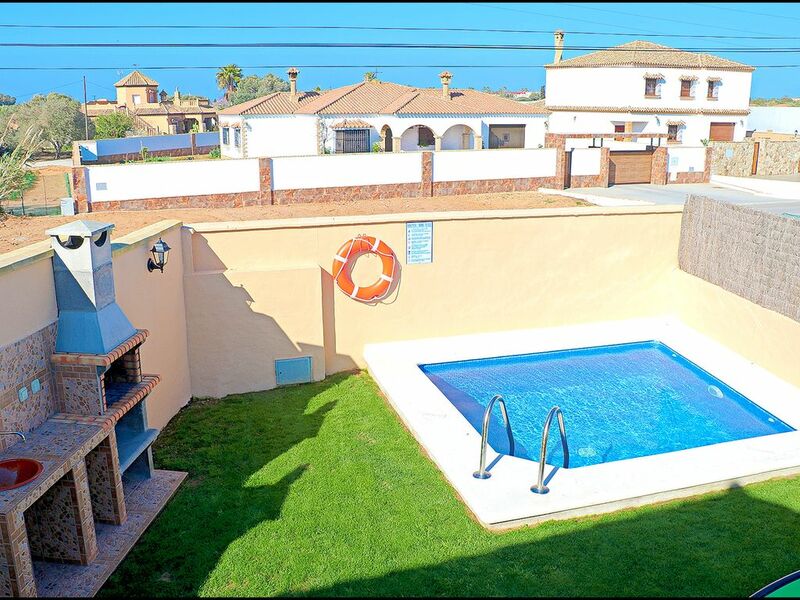 Lo que más nos ha gustado es tener barbacoa, zona exterior y televisión en la habitación. Lo que menos, que ni el sofá ni la cama eran muy cómodos. La casa es preciosa y l jardín con piscina una gozada. La cama y el calor que he pasado. Todo Nada. Todo perfecto. Muy recomendable.